Compression wrap for elbow may be used alone or in conjunction with the treatment protocol. The EZ Elbow" system has a handy pocket for re-usable hot pack, re-usable cold pack or spike plates. These small accessories and the unit fit in a convenient case. Spike plates can also be worn in hand to apply massage. Various kits available that also include arm exercisers and topical analgesics!. 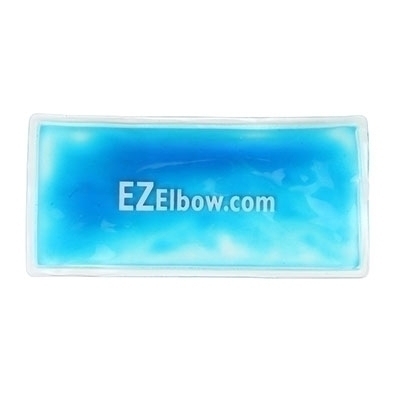 Re-usable cold pack is designed to fit in the pocket of the EZ Elbow" compression wrap.